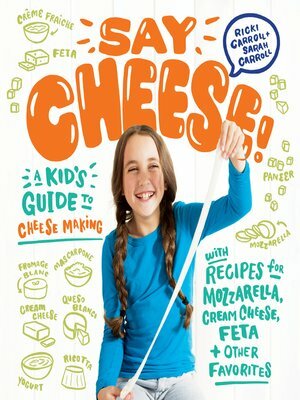 Best-selling author Ricki Carroll — known around the world as the Cheese Queen — and her daughter, Sarah Carroll, bring easy cheesemaking right into your kitchen with this fun guide for kids and families. Step-by-step photos guide kids ages 8–12 through the cheesemaking process, then teach how to make 10 classic favorites, including mozzarella, feta, ricotta, and cream cheese. A hearty helping of kitchen chemistry and math along with bits of international cheesemaking history add to the education. A bonus log sheet lets young cheesemakers keep their notes just like the pros, while punch-out labels and colorful flags will embellish homemade cheeses and global cheese platters.